Norwegian explorer and ethnographer, best known for his meticulous field research and ethnographic publications on indigenous cultures of Australia and Mesoamerican central Mexico. Born in Faberg, Norway, Lumholtz graduated in theology in 1876 from the University of Christiania, now the University of Oslo. Lumholtz travelled to Australia in 1880, where he spent ten months from 1882-1883 amongst the indigenous inhabitants of the Herbert-Burdekin region in North Queensland. 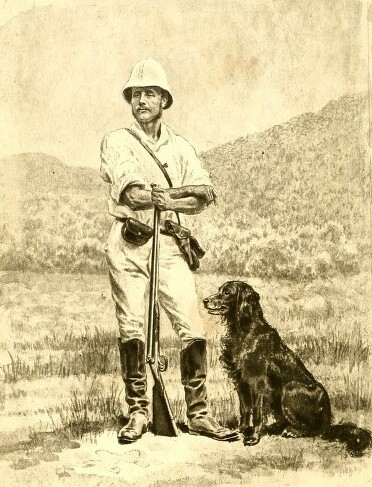 He wrote a book about his experience, Among Cannibals: An Account of Four Years' Travels in Australia and of Camp Life with the Aborigines of Queensland, first published in 1889, which is regarded as the finest ethnographic research of the period for the northern Queensland Aborigines. Whereas previous authors had commented only upon the aesthetic physical appearances and material culture of the region's indigenous people, Lumholtz added a level of academic research that was unique for the period. His work recorded for the first time the social relationships, attitudes and the role of women in the society. He also gave a series of two lectures on "Among Australian Natives" for the Lowell Institute for their 1889-90 season. He spent a total of four years in Queensland, his expeditions included visits to the Valley of Lagoons and the Herbert River area. He made collections of mammals while living with the local peoples, these specimens were used for the descriptions of four new species. One of these was named for the type locality, Pseudochirulus herbertensis (Herbert River Ringtail Possum), and another commemorates his name, Dendrolagus lumholtzii (Lumholtz's Tree Kangaroo). Lumholtz later travelled to Mexico with the Swedish botanist C. V. Hartman. He stayed for many years, conducting several expeditions from 1890 through to 1910 which were paid for by the American Museum of Natural History. His work, Unknown Mexico, was a 1902 two-volume set describing many of the indigenous peoples of northwestern Mexico, including the Cora, Tepehuán, Pima Bajo, and especially the Tarahumara, among whom he lived for more than a year. Lumholtz was one of the first to describe artifacts from the ancient shaft tomb and the Tarascan cultures. He described archaeological sites, as well as the flora and fauna, of the northern Sierra Madre region called the Gran Chichimeca. He gave a series of three lectures on "The Characteristics of Cave Dwellers of the Sierra Madre" for the Lowell Institute's 1893-94 season. In 1905 Lumholtz was a founding member of the Explorers Club, an organization to promote exploration and scientific investigation in the field. He went on a brief expedition to India from 1914–1915, then to Borneo from 1915 to 1917, which was his last expedition. In 1922 Lumholtz died of tuberculosis at Saranac Lake, New York, where he was seeking treatment at a sanatorium. He had published six books on his discoveries, as well as the autobiography My Life of Exploration (1921).